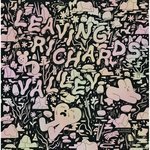 All hail Jordan Crane in his effort to reinvigorate the standard pamphlet comic book. 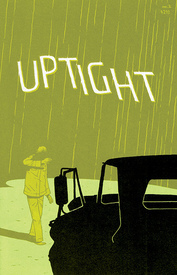 Uptight is what a comic book should be: an intense, well thought out, tightly crafted, personal expression at an affordable price. Not for the faint of heart, this issue plunges the reader into a stressed out, anxiety prone world where everyone is right on the edge and some are going over: "Take Me Home" follows a lonely shift worker haunted by a late night encounter; "Before They Got Better" gives us a perfect pitch rendition of domestic tensions rocking the boat without ever quite dragging it under the waves; and the second installment of "Keeping Two" shows its protagonist's imaginiation running away with him as he anxiously awaits his girlfriend's return from renting a video. Each is vividly rendered and expertly paced. This is a comic book. Recommended.